When my sister, Rhonda, and I were young our family’s favourite TV show on Sunday Night was called, “Ask the Leyland Brothers” It screened between 1976 and 1980, covering 153 episodes. The series followed the Leyland brothers, Mike and Mal, who traveled across Australia and New Zealand in response to questions posed by viewers. Mike and Mal were slow talking Aussies who had awesome adventures with their wives and children. Once I had my driver’s license, Rhonda and I would head off for short breaks around the South West of WA. We had an old cassette recorder that sat on the bench seat between us and we would record our own ‘Leyland Style’ episodes of our adventures. Being prone to wrong turns, forgotten tent poles and mishaps, we christened ourselves “The Lardhead Sisters”. We thought we were hilarious! When planning Rhonda’s 50th birthday travel in Italy we decided our two daughters need to experience a Lardhead adventure with their mummies. 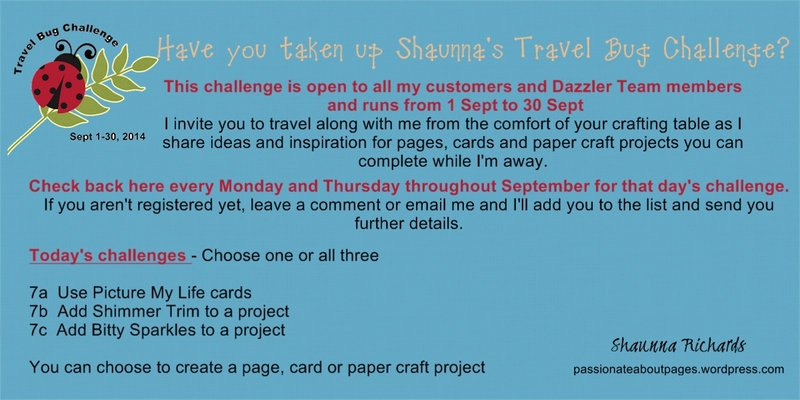 They are two well travelled, super organised and self sufficient young women. Rhonda and I will do our best to destroy that reputation and introduce them to our world of wrong turns and lame adventures. We hope to have them collapsing in laughter over something quite inconsequential and record it all with photos…stay tuned for future posts! This is my take on the Wanderful WOTG layout without Cricut cuts. I changed it a little so I could use 3″x4″ photos and I’ll be adding some flip flaps later! 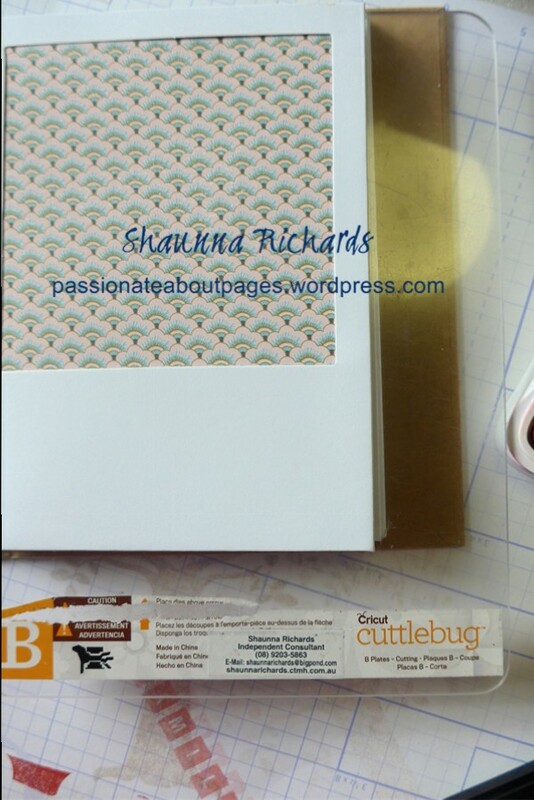 The layout below is the one in the Wanderful Workshop on the Go Kit which uses Cricut cuts. All the instructions to create it are contained in the kit. I love how the same sketch can be used so many ways and look different each time. Whilst this layout marks the beginning of our Lardhead adventures it is the last in my Travel Bug Challenge. I hope you’ve enjoyed trying some of the ideas presented over the past 4 weeks. 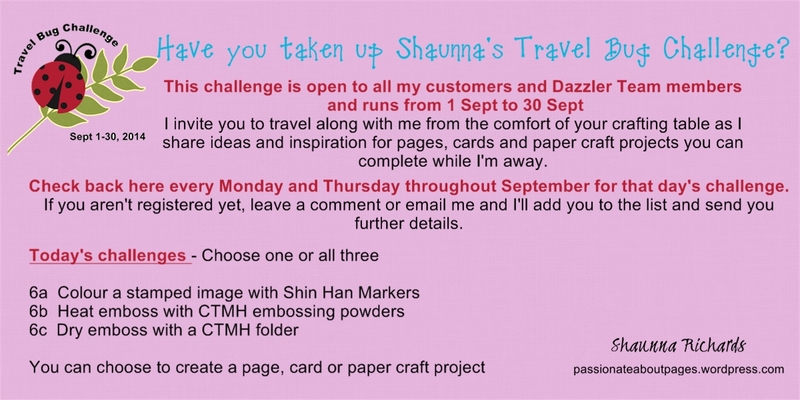 If you have been part of the challenge, take a couple of days to complete your projects and then send your recording sheets to me so I can order your rewards. They need to be in my hands by October 6. 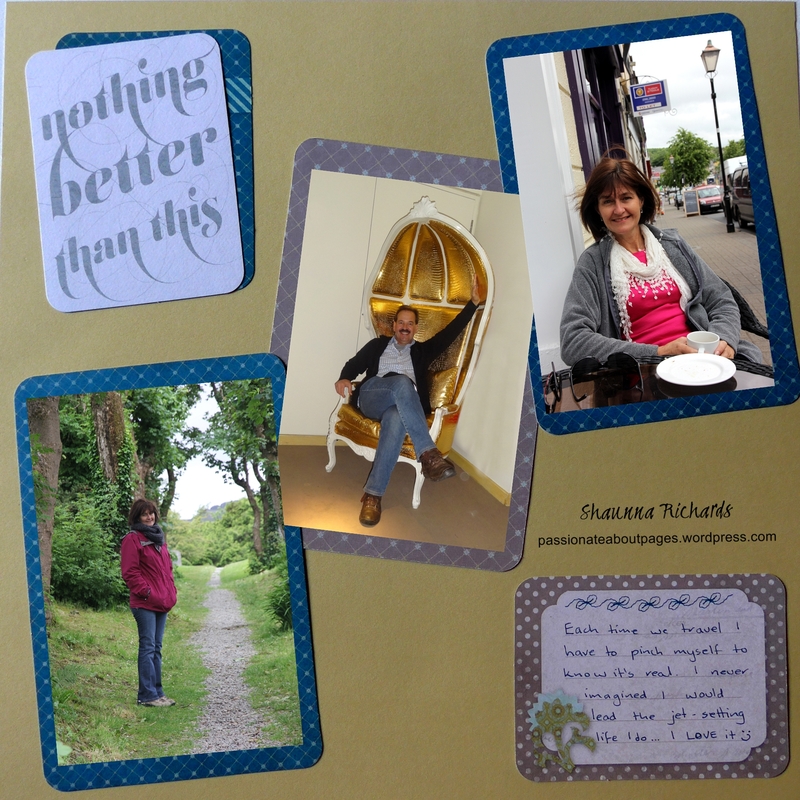 Mike and I have had a fabulous time travelling in Cornwall. It is such a pretty corner of the world. This layout is one I adapted a little bit from the Wanderful WOTG kit. (G1088) Once again, we have taken far too many photos so I had to find a way to squeeze extras onto the page. Not shown in this photo are the Flip Flaps I will be adding to the layout at home. I’m really excited to have a pack of 15 3″ x 4″ Flip Flaps (Z3027)in our range now. I print most of my photos in this size and I love how Flip Flaps allow me to include lots more photos on the page than I would normally. 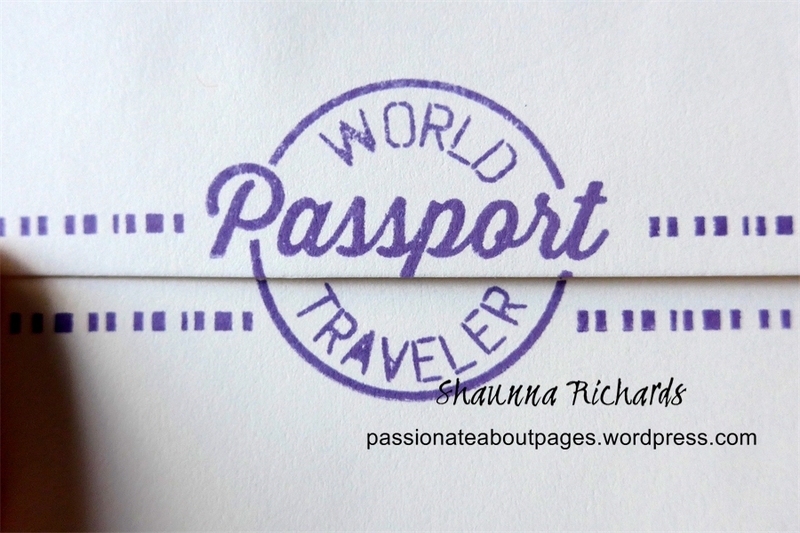 Here’s those trusty two stamps from the Wanderful WOTG (G1088) again! 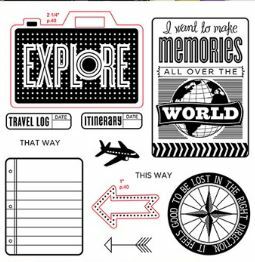 I just love how easy it is to find a space for journaling with these stamps. The border along the bottom of the page was created using the camera and flash icons from the World Traveller Stamp Set (C1592). I used Flaxen ink on Flaxen cardstock. This is one of the new colours in our range and I know it’s going to be a favourite for me. The Black Arrows Washi Tape (Z2003) finished the border off nicely, I think. The sentiment on this stamp sums up how I feel! I adore travel and I have a very long list of places I want to visit. The thing I enjoy as much as the travel, is creating albums with my photos when I get home. It’s like I’ve taken the trip twice!. I stamped this image twice – once in Archival Black Ink (44751) and once in Crystal Blue (Z2117). Next I cut the globe out of the Crystal Blue image and layered it over the black one. 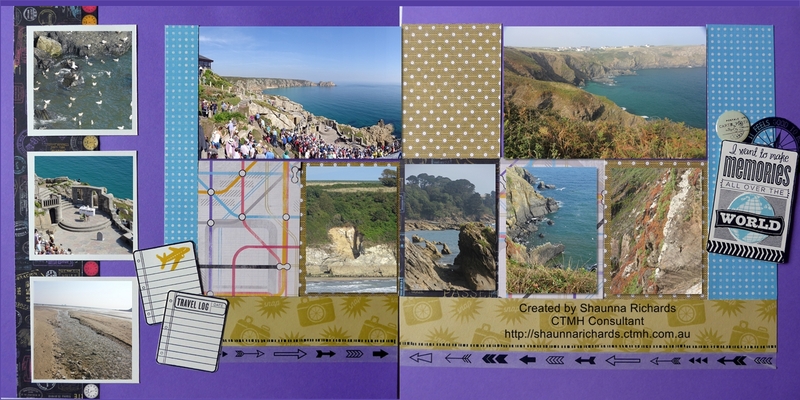 Here’s another quick and easy layout with the Picture My Life Scrapbook program. Each of the 13 CTMH Picture My Life collections include 44 double sided 4″x6″ cards; 78 double sided 3″x4″ cards; 1 Designed cover sheet and 10 Memory Protectors. 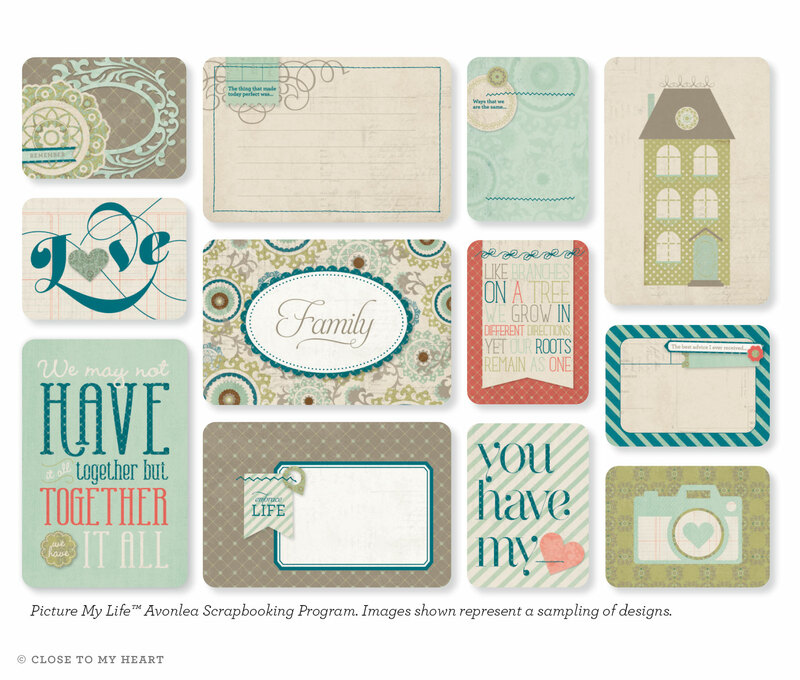 This is a sample of the cards in the Avonlea PML kit. 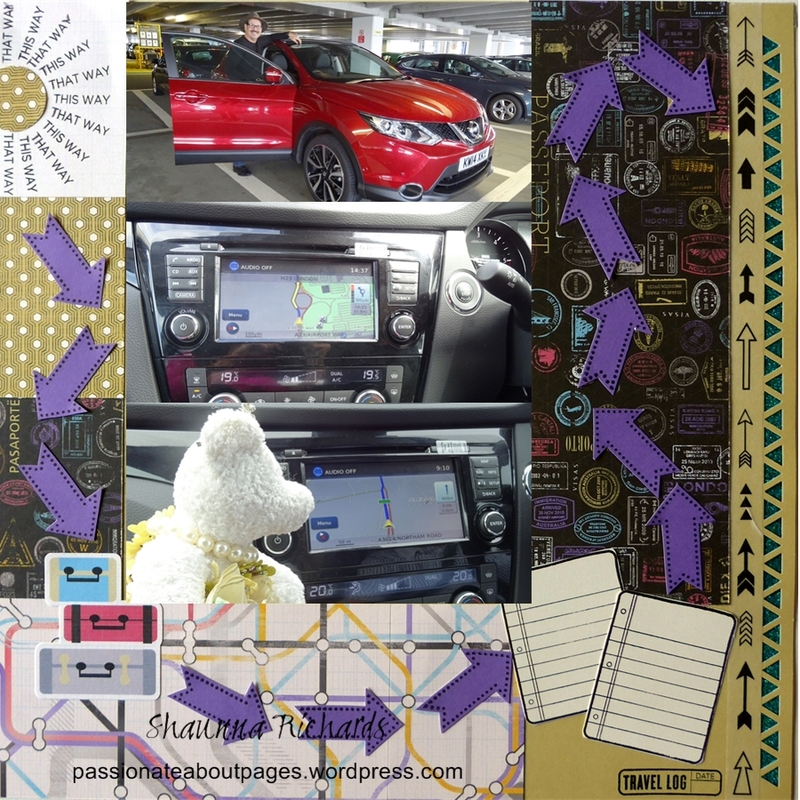 PML cards are designed to be used for pocket style scrapbooking but in today’s post I’ve used a few on a traditional scrapbook page. This was a super fast page to make. 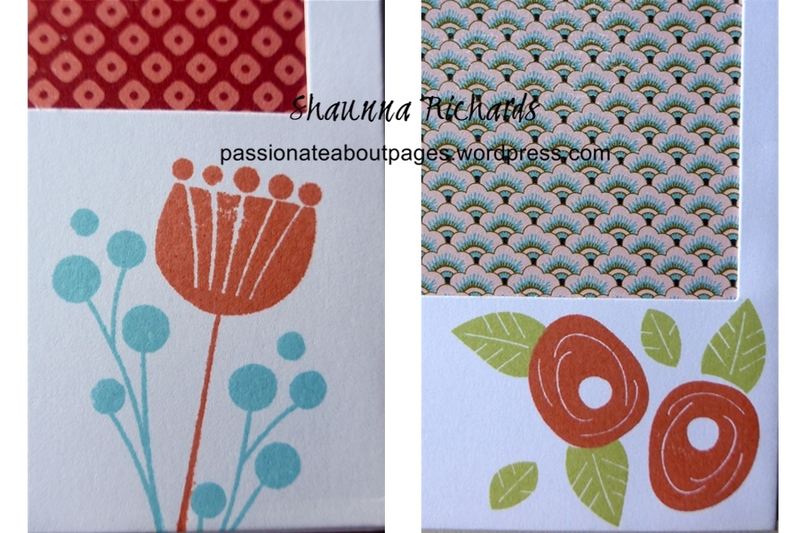 I used the NEW Flaxen cardstock for my background and chose cards from Avonlea PML pack. Each photo is mounted on a 6″ x 4″ card. 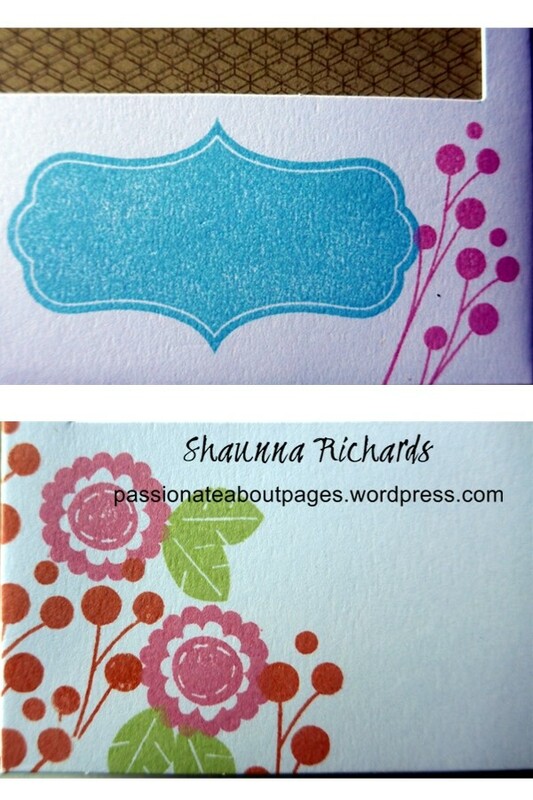 The title is just 2 cards offset on each other – the print was already on it. The journal box was pre-decorated too – I just had to add the words. Super quick, fun and doable. YAY! Reunited with our gorgeous daughter and her boyfriend after 3 months apart. They have been having the time of their lives volunteering with a group called Soft Power Education in Uganda. We’ve followed their blog and chatted on Skype but it’s just not the same as having a hug! I plan to make the most of my time with them over the next 2 weeks we have together. I wanted to practise blending with the Shin Han Markers and the birds were a nice small project to do it on. I found a useful video created by a North American CTMH Consultant, Brae Montgomery, on YouTube which helped me a lot. Click here to watch it. 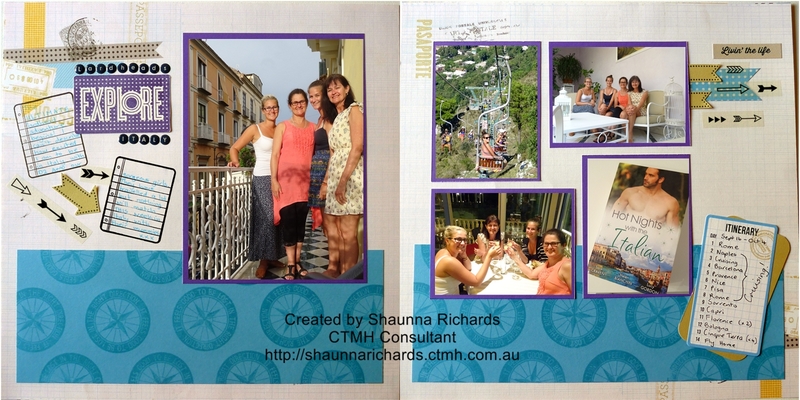 I am at a stage of life where so many of my friends or their young adult children are travelling. 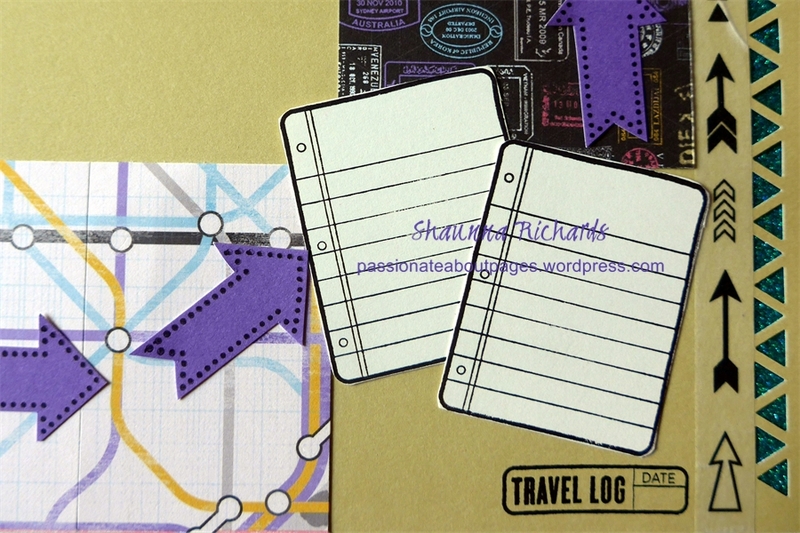 I often give a small gift before they depart and thought having a few Bon Voyage type cards would be useful. 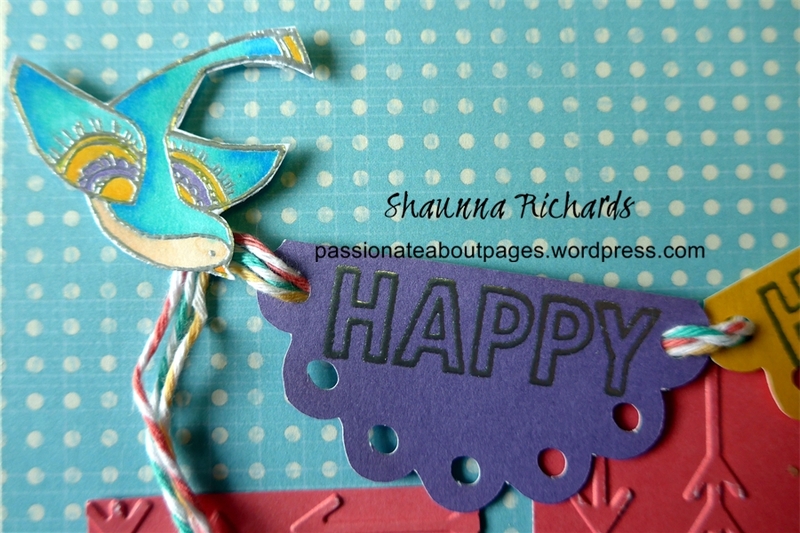 Here’s my first one made with some scraps left over from my Wanderful pages. 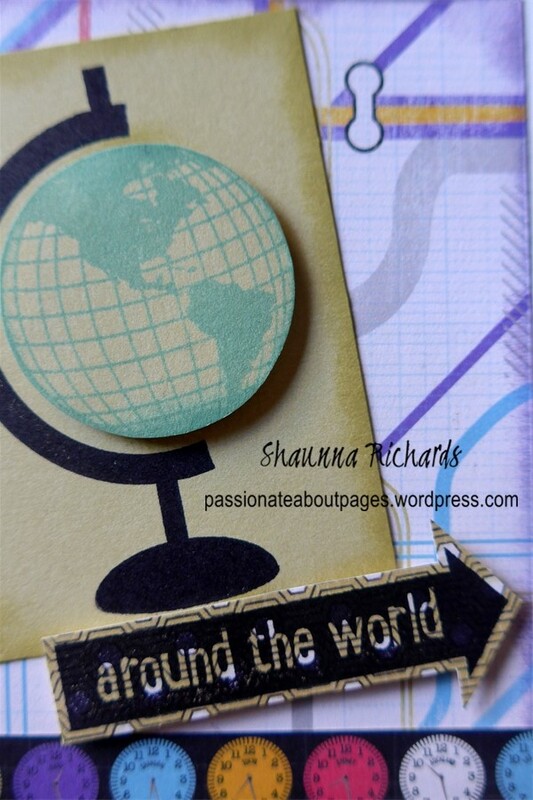 The stamps on the card come from Here We Go (D1600) I just love that globe! To create a 3D look I cut out the globe and daubed the edges. I also added a little daubing on the card base at the points the globe would affix to the frame. Then I mounted the globe with Foam Tape. When travelling in a hire car in a foreign country, do you have trouble deciding who is the boss? Is it the navigator or the driver? You know what I’m saying here, don’t you? After several trips I have figured out the answer – the GPS Girl is the boss! I just tell her where we want to end up and she bosses Mike endlessly throughout the drive. “Perform a U-turn when safe to do so”; “Make a left hand turn in 400m”; “Re-calibrating route”. I love her! I have named this GPS girl Sally Seaside because most of this trip will be on the coast. I know we are going to have a fab time together and at the end of each day’s travel, Mike and I will still be friends. Our travel buddy bear is fascinated by Sally Seaside too! 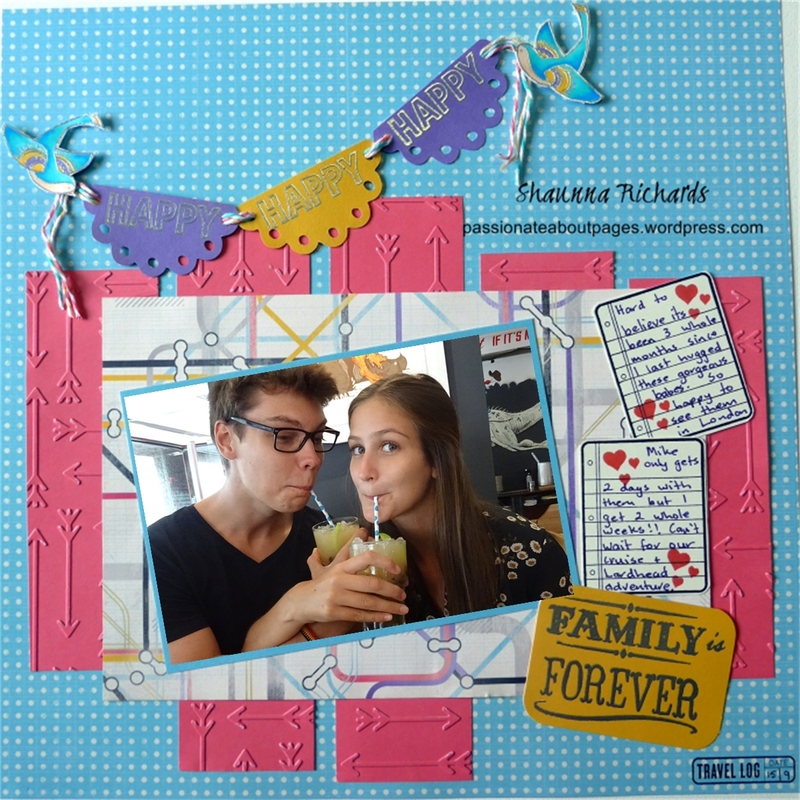 This page is created using the Wanderful Workshop on the Go Kit (G1088) and Compliments stickers (X7191C). I especially love the stamps in this kit. I would actually buy the kit just for the 2 stamps featured in the lower right corner. 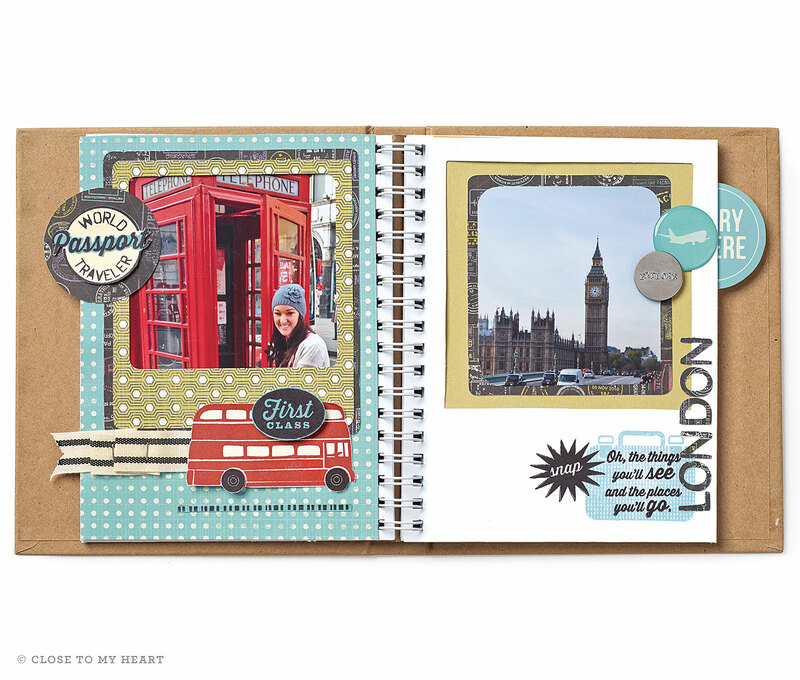 The little journal page stamp and the travel log stamp are invaluable when making travel albums. 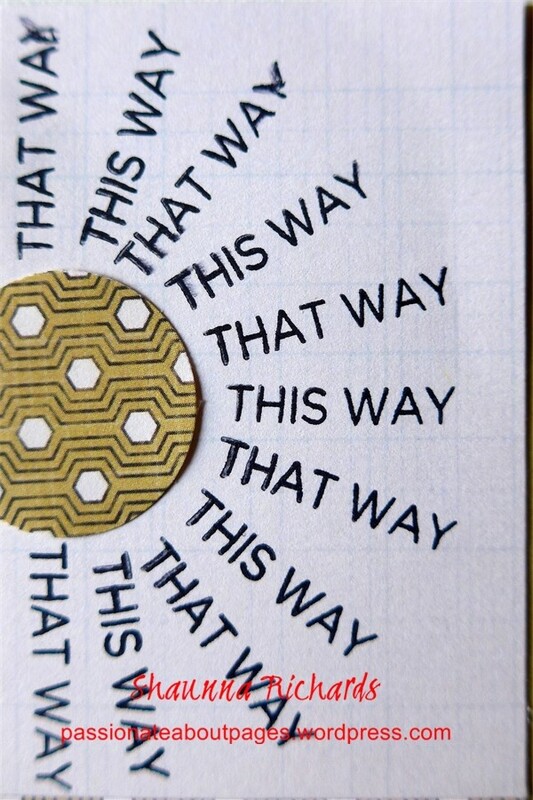 The ‘This way, That way’ sentiments worked perfectly for the theme of this page. 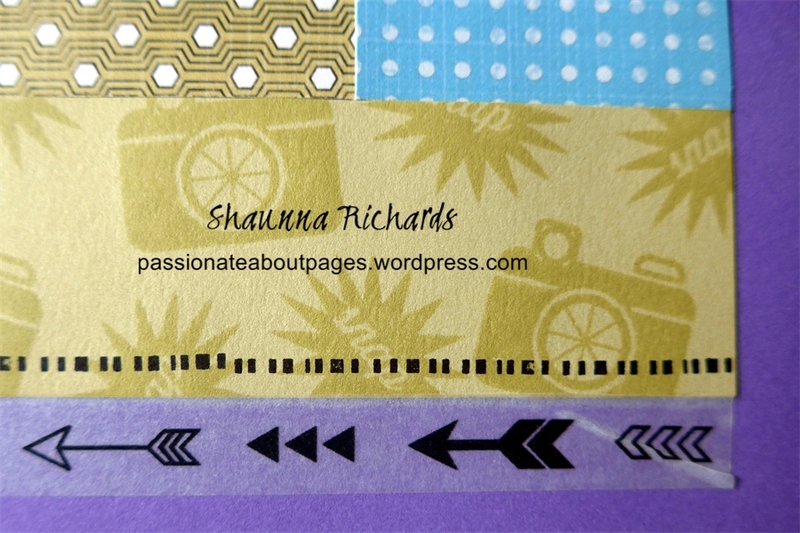 I just love the Black Arrows Washi Tape (Z2003) and added it on the side of the page then finished off with a Triangle Border punch (Z1997) along the edge of the cardstock. Teal shimmer trim (Z1918) behind the border made it stand out. Remember to scrapbook some of the ‘inconsequential stuff’ like hire cars – the stories you tell for years to come often involve these things more than the views you saw. My mum lives in an aged care facility. She has dementia. Mum has always loved little albums filled with photos of our family. They help her remember who we all are. One other benefit I’ve discovered is that they help staff to know a bit about the person mum is and the family she belongs to. In the past I used Creative Memories paper albums but they don’t exist anymore. I’m thrilled to have discovered the Close To My Heart Hip Pics albums (Z1956) do the job perfectly. This isn’t my work – someone very clever in head office created this stunning album but it does show you the potential for the Hip Pics if you are creative. 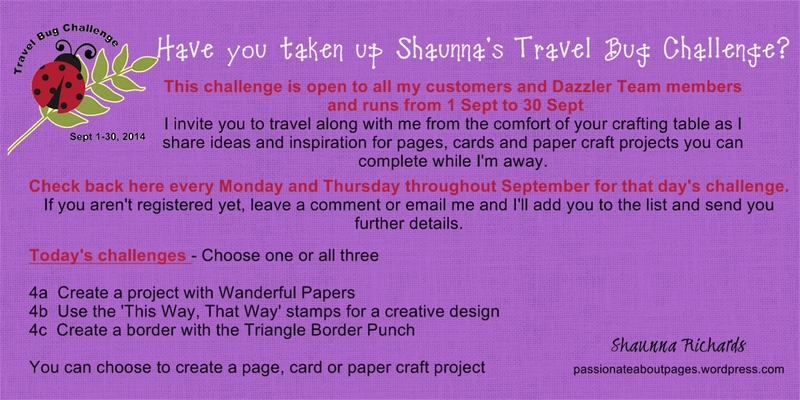 They have used Wanderful papers. I need to keep mine really simple for mum. If there are bits stuck on she tends to pull them off – not sure why but it happens. 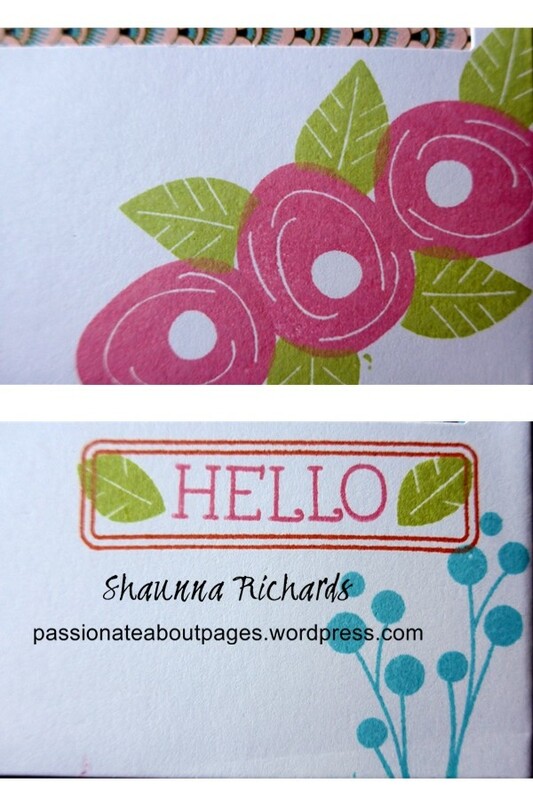 That’s where stamping is fabulous. Each page of the Hip Pics album(Z1956) has a pocket built in for your photo to slide into and them a band of white at the bottom. 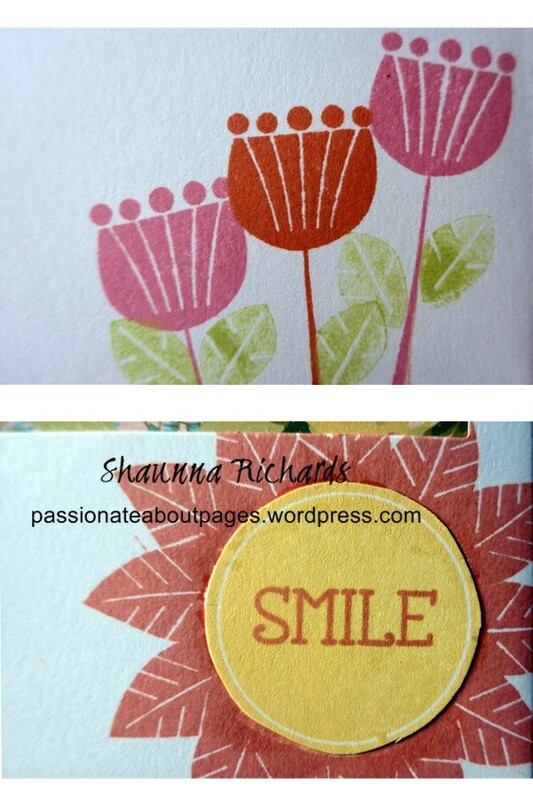 All I’ve done in this album is stamp directly onto the band of white using the Have a Happy Day (D1616) stamp set. To make sure of a good stamped image, I slid my Cuttlebug plastic plate behind the page so there was a flat surface to work on. For best stamping results. make sure you add the foam sheet behind the page too. Here are some of the other page decorations. 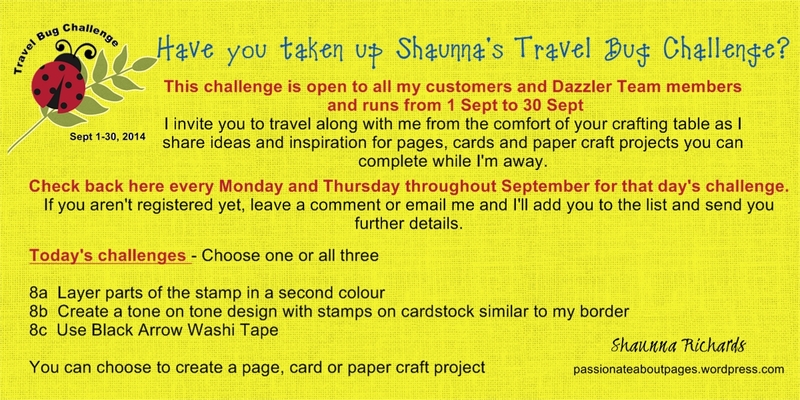 I didn’t get a photo of a finished page but I added a strip of Washi tape across the opening of each page in the hope mum won’t pull them out! It’s OK if she does, photos are cheap and the albums are a steal at just $12.